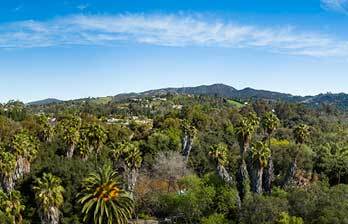 In the rolling hills of Vista, families and residents can create a life as vibrant and beautiful as the city they roam in. California West’s new, gated neighborhood, Oak Creek, is thoughtfully designed to bring owners the best of country living with nearby woodlands filled with oaks, sycamores, flowering brush, and grass - it’s an ideal place to take a breath and thrive. 24 spacious residences will offer timeless Farmhouse, Pasadena Cottage, and Mission architectural designs with an average lot size of 12,250 sq. ft. and approximately 2,633 – 3,443 sq. ft. of living space. All homes will be planted in the sprawling 14 acres of Vista hillside known for its sublime climate created by the cool ocean breezes from the west. Oak Creek is a safe haven. A secret escape. A warm California sanctuary. A deeply rooted home that provides peace of mind and life. Register to receive exclusive updates on this new community.